For millennia before the arrival of Europeans, the ancient civilizations of North and South America built monolithic statues, towering pyramids and thriving cities—including a few that were among the largest in the world. Outside of Machu Picchu and Chichen Itza, however, many of these engineering marvels remain little known even today. 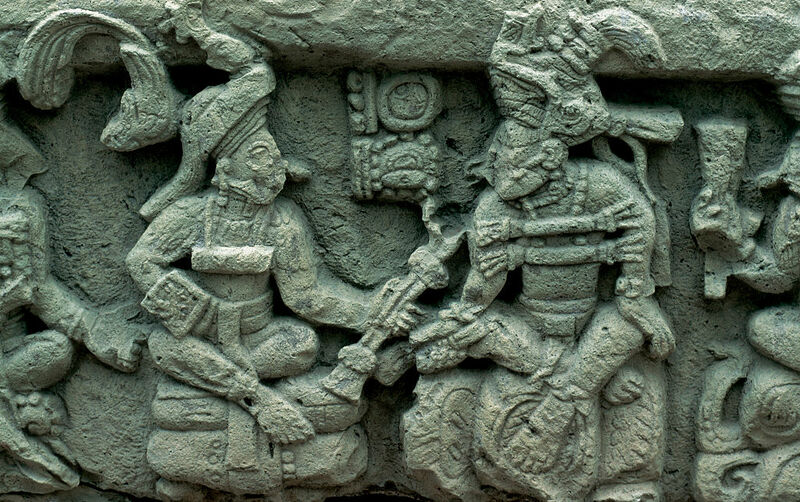 Take a tour through eight of the most dazzling landmarks of the ancient Americas. Latin America’s answer to the Great Pyramid of Giza, the Pyramid of the Sun is located in the ancient city of Teotihuacan near Mexico City. Constructed around 200 A.D. by an enigmatic pre-Aztec civilization, the monument stands over 200 feet tall and is roughly 700 feet wide, which would have made it one of the largest structures in ancient North America. Excavations in the 1970s revealed that the pyramid sits atop a 300-foot cave-tunnel leading to a four-winged chamber. 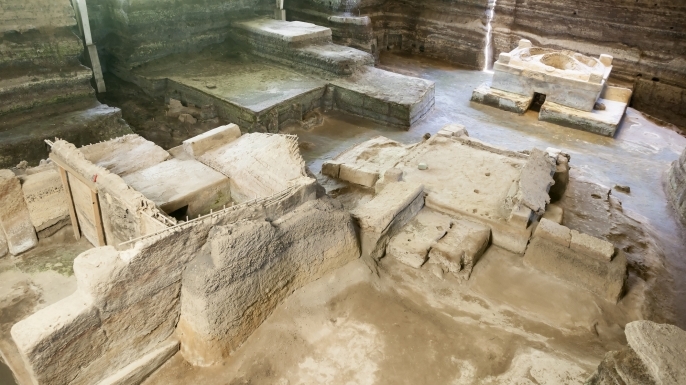 More recently, archaeologists have discovered that the tunnel complex includes caches of pottery and sacrificial remains, which suggest that it once served as a spiritual shrine or royal tomb. 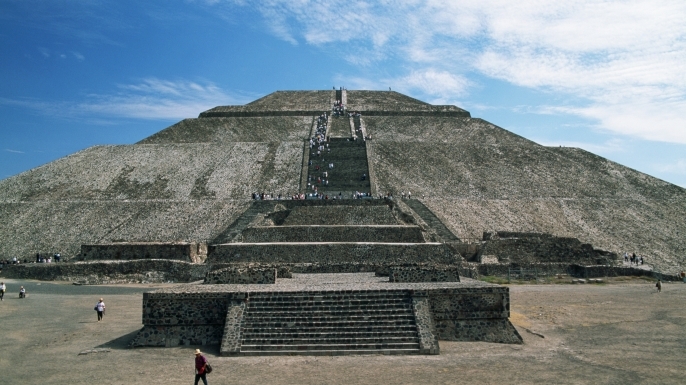 Along with the nearby Pyramid of the Moon, the Pyramid of the Sun would have dominated the skyline of Teotihuacan during the first millennium A.D. The city was mysteriously abandoned sometime around the seventh century, but at its peak it may have had as many as 100,000 inhabitants. 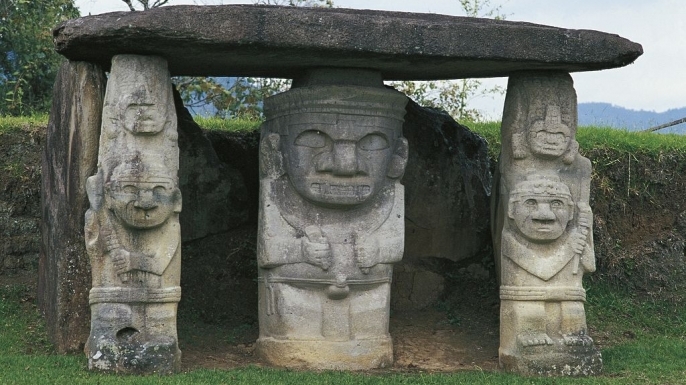 Images)According to UNESCO, Colombia’s San Agustín boasts the largest collection of megalithic sculptures in all of South America. The site consists of a massive necropolis strewn with some 40 burial mounds and 600 stone statues fashioned from volcanic rock. The statues range in height from only a few inches to around 20 feet, and depict grotesque monsters, club-wielding warriors and animals such as eagles, jaguars and frogs. The vast majority of the monuments date to between the first and eighth centuries A.D., but little is known about what significance they may have had for the ancient northern Andean culture that made them. A Spanish friar who saw the statues in the 1750s famously concluded that their fearsome imagery must have been the work of the devil, but modern scholars tend to believe they were designed to serve as guardians for the people buried in the surrounding tombs. 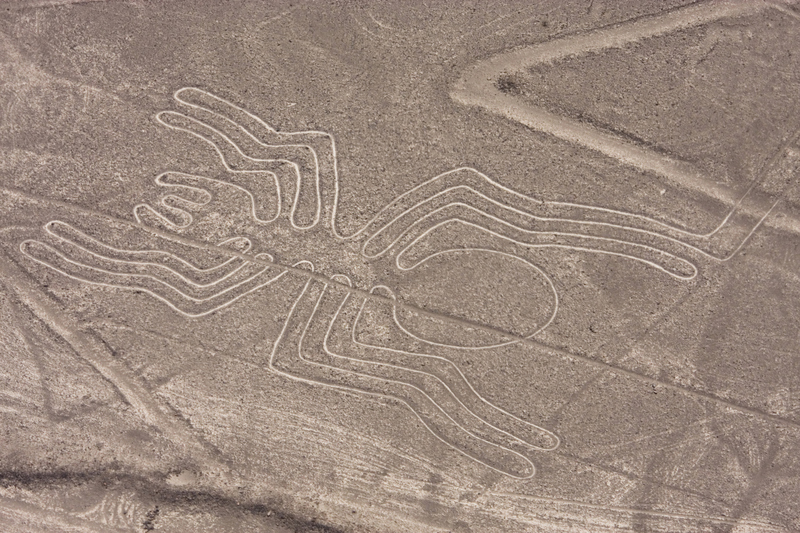 n the high desert of southern Peru lie the Nazca Lines, a collection of bewildering geoglyphs that were etched into the arid landscape as many as 2,500 years ago. The drawings extend over a 200 square mile area and include everything from geometric shapes and swirls to representations of animals such as a hummingbird, a spider, a monkey and a killer whale. The gargantuan art gallery was most likely the work of the ancient Nazca people, who made the lines by clearing away a top crust of dark-colored rocks to reveal a layer of white sand. Why they did so, however, is a matter of considerable debate. Some researchers believe the drawings were connected to rituals involving rain, while others argue they may have had an astronomical function. Still others think they served as a ceremonial route walked by pilgrims on their way to a temple or religious site. 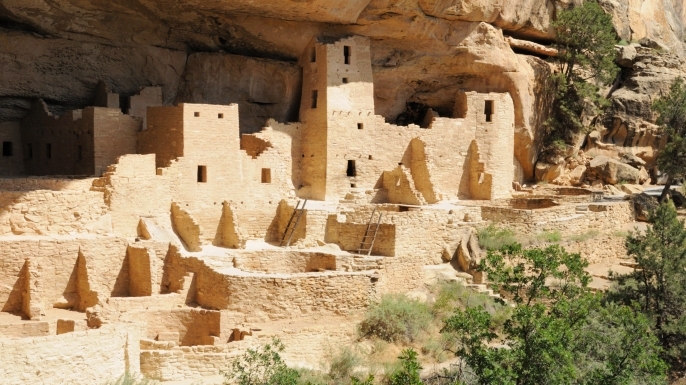 Nestled in Mesa Verde National Park in Colorado, the 800-year-old Cliff Palace is the largest and most famous settlement of the Ancestral Puebloans, a civilization that once inhabited the Four Corners region of the American Southwest. The imposing cliff dwelling was built from sandstone bricks, wooden beams and mortar, and includes some 150 rooms and towers as well as two-dozen circular meeting rooms, or kivas. As many as 100 people called the fortress home during the 13th century A.D., but the Puebloans abandoned it just a few decades later, most likely because of a prolonged drought. Cliff Palace became a ghost town and remained unknown to non-natives until 1888, when a pair of ranchers happened upon it while looking for stray cattle. Though not the most spectacular architectural site in the Americas, El Salvador’s Joya de Cerén is almost certainly among the best preserved. Known as “the Pompeii of the New World,” the small Mayan farming village was entombed in 17 feet of ash during a volcanic eruption around 600 A.D. Like its more famous Italian counterpart, it was effectively frozen in time, creating a fascinating snapshot of daily life in Pre-Hispanic Central America. Since its rediscovery in the 1970s, archeologists have unearthed several thatch-roof structures as well as a plaza and a communal sweat bath. They have also found scores of everyday objects such as sleeping mats, jade axes and food jars. There are no human remains at Cerén—its 200 residents seem to have fled before the volcano blew—but the eruption did preserve some of their footprints. There are even ash imprints of the corn stalks that once grew in the surrounding gardens. Situated more than 12,500 feet above sea level near Bolivia’s Lake Titicaca, Tiwanaku is a mystifying complex of temples, pyramids and statues that was once the capital and spiritual center of the ancient Tiwanaku culture. The city reached its peak during the first millennium A.D., when numerous monumental structures were erected near the moat-enclosed city center. Two of the most important were the Akapana pyramid and the Kalasasaya temple, the latter of which features a “Gate of the Sun” protected by a frieze of a deity brandishing a pair of staffs. Pumapunku, another major ruin, lies outside the city center and consists of several platforms, plazas and stairways. 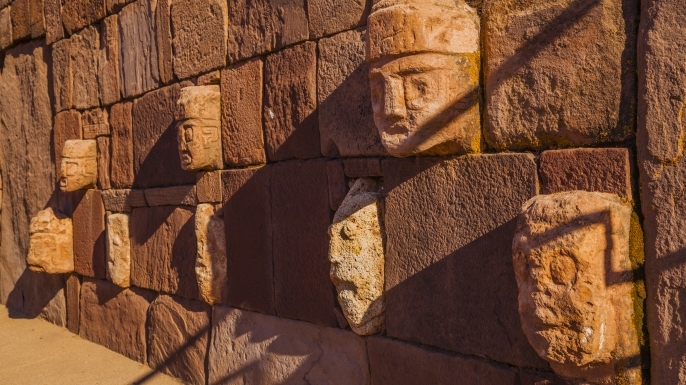 The Tiwanaku complex is famous for its monolithic stonework, which includes walls dotted with stone heads and statues hewn from sandstone and andesite blocks, some of which weighed over 100 tons. Many of these stone pieces were cut so precisely that they fit together perfectly without the use of mortar. Long before Europeans were aware that the New World even existed, the outskirts of modern day St. Louis were home to a metropolis now known as Cahokia. Built by the ancient Mississippian culture, the 5 square mile site reached its peak sometime around 1100 A.D., when it may have supported a population of 10,000-20,000 people—roughly the same as London. The city included sprawling public plazas and residential neighborhoods, but its most striking feature was its roughly 120 terraced earthen mounds, which often served as tomb complexes or platforms for important buildings. 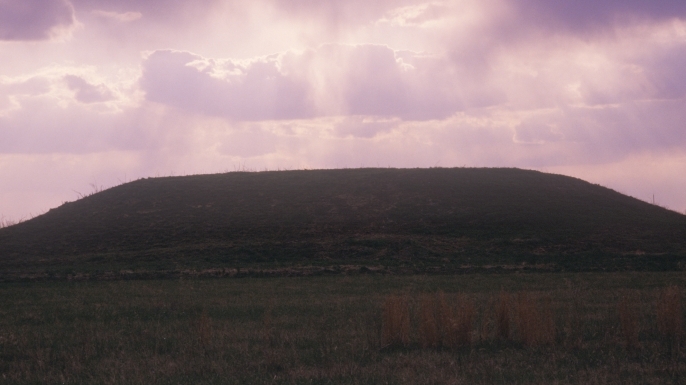 The largest, the so-called “Monks Mound,” still stands some 100 feet tall and was once topped by a temple or palace. Excavations at Cahokia have revealed evidence of human sacrifice as well as crafted stone figurines and a palisade solar calendar dubbed “Woodhenge,” but since it residents kept no written records, archaeologists still know relatively little about their culture or religion. Even more mysterious is the settlement’s sudden decline: by the 1300s, it had been completely abandoned. Famed for its exquisite hieroglyphs and stonework, the ancient Mayan city of Copán sits in modern day Honduras near the border with Guatemala. The site began its life as a small agricultural settlement in the B.C. era, but it reached its zenith between the fifth and ninth centuries A.D., when it was ruled by a dynasty of 16 different kings. During that time, the city center was expanded to include numerous plazas, staircases, pyramids and stone temples, many of which were painted a striking shade of red. One of the site’s most famous monuments is the so-called “Hieroglyphic Stairway,” a 63-step staircase carved with over 2,000 individual glyphs—more than in any known Mayan inscription. There are also several stone steles and altars adorned with images of the city’s rulers and descriptions of its history. Copán may have had some 20,000 residents at its peak, but it went into decline in the eighth century after its 13th king was captured and beheaded during a conflict with a rival kingdom. The city was subsequently abandoned and remained largely unexplored until the 1800s.